The man responsible for Mario came to E3 with a fistful of new game prototypes to show. One's a new entry in the fan-favorite Star Fox franchise. The others? 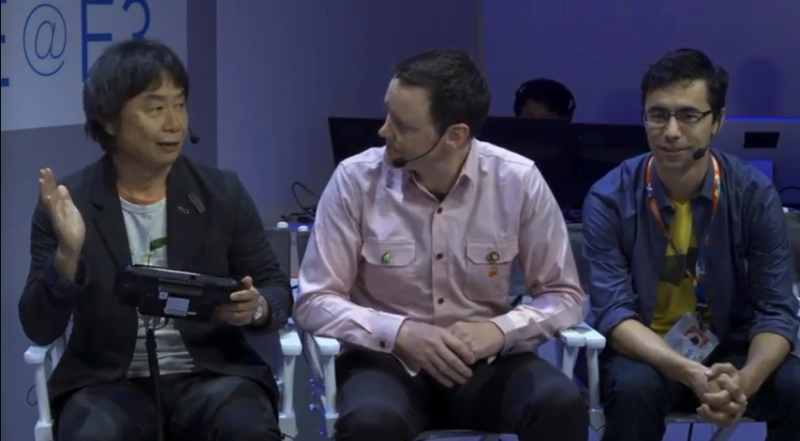 They're kind of goofy but clever, just as you'd expect from Miyamoto-san. In the video—which is more than a half-hour long—Mr. Miyamoto talks as members of internal Nintendo development teams play through Project: Guard and Project Giant Robot prototypes. The fast-paced security camera tower defense of Guard looks like a lot of fun, while Giant Robot's build-and-brawl gameplay looks a bit rougher around the edges. Miyamoto himself seems like he's having as much fun as ever and tries to get the crowd involved in the gameplay of the two in-development titles. Neither one seems deep enough for a standalone game at this point and it seems more likely that they'll be individual downloads or part of a larger package. Things could change, though, as these are clearly early iterations of game ideas.